Our events are well-loved, well-attended and well-promoted. Sponsoring library events is a great way to support BHPL and be seen by hundreds of enthusiastic community members. 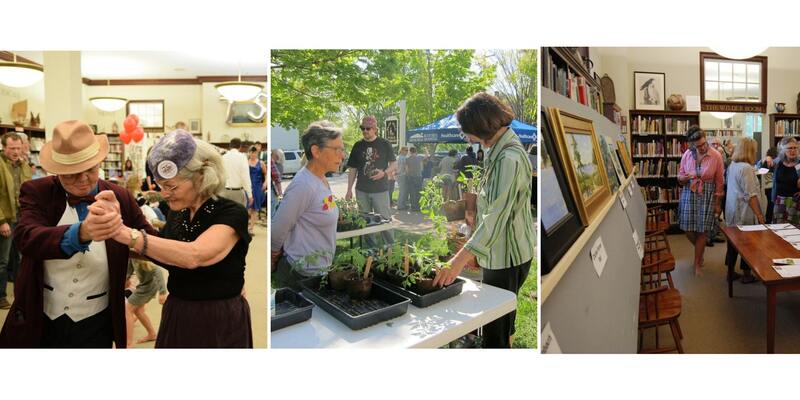 Mark your calendar for our typical annual events & earmark your budget! Cash Levels from $75 and Up with a reach of 4,500 patron households. In-Kind donations of goods & services accepted for hospitality, auctions and raffles. Sponsors are acknowledged in event guides, event signs, our @BHPL email newsletter, summer mailing, and event social media. Combined reach of over 4,000 households. Business partners will receive a special sticker identifying them as BHPL supporters. They will also be listed on the library’s website and in our Spring Newsletter. Simple, easy, direct. You choose the time & amount. Make supporting BHPL really easy and cash-flow friendly with monthly or quarterly donations on your business credit card. Do you make good use of our meeting rooms? Help offset the costs by making a gift of support for this critical community service. For a complete list of Business Services at BHPL. Julianne Taylor, education coordinator for Explore Outdoors! – a collaboration . . . Pre-school Playgroup meets in the Howard Room every Wednesday at . . .
Come build and create with Legos! Every other Wednesday, starting . . . Thanks to the generosity of the Friends of the Library, . . . Thanks to generous support from Friends of the Library, local . . . Kids of all ages are invited to “Crafternoons” at the . . . The Blue Hill Public Library will host a “Drop-In Genealogy . . .
Blue Hill teachers Megan Flenniken and Nell Herrmann will do . . . The Blue Hill Public Library will hold a workshop about . . .